BoxShop has provided moving and packing supplies in Ajax for many years! We are proud to service Ajax, and continue to offer the best moving boxes and packing supplies in Ajax. Our certified moving boxes, cardboard boxes, and packing supplies are the best quality packing materials to so your valuables always arrive safely! 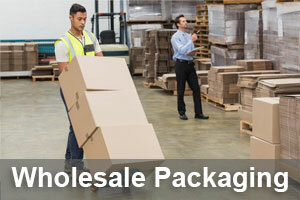 Our moving boxes can be purchased individually or in bulk in Ajax. This helps our clients save money on moving because they don’t have to purchase more than what is needed. With BoxShop, you can buy individual boxes for televisions, computers, or paintings. Our clients are important to us, so we want to help make this transition as easy as possible. Boxshop offers Ajax free moving box shipping with purchases over $100. Trying to remember all the moving boxes and moving supplies you will need for your transition can be overwhelming. This is why BoxShop offers discount moving kits in Ajax! 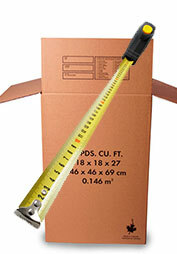 These moving kits contain all the essential boxes and supplies for moving. Whether you’re in a small apartment or a large house, these discount moving kits will include the moving boxes, moving supplies and even some tips on what type of vehicle to use for your move. One Bedroom Apartment Moving Kit – this includes all the essential moving boxes and supplies for moving your 1 bedroom apartment in Ajax. You will receive moving boxes, unprinted newsprint, china box, permanent marker, wardrobe box with bar, and large packing tape. 2 Bedroom Apartment Moving Kit – this kit includes moving boxes, unprinted newsprint, china box, permanent marker, 2 wardrobe boxes with bars, and packing tape. 3 Bedroom Apartment Moving Kit –this includes moving boxes, unprinted newsprint, china box, permanent marker, 3 wardrobe boxes with bars, and packing tape. 4 Bedroom Apartment Moving Kit – this includes moving boxes, unprinted newsprint, china box, bubble wrap, permanent marker, 4 wardrobe boxes with bars, and packing tape. 5+ Bedroom Moving Kit – this includes moving boxes, unprinted newsprint, china box, bubble wrap, permanent marker, 5 wardrobe boxes with bars, and packing tape. Kitchen Discount Moving Kit – this kit includes moving boxes, unprinted newsprint, china box, bubble wrap, permanent marker, and fragile tape. Studio Apartment Moving Kit – this kit includes moving boxes, bubble wrap, RG TV/Computer box, and packing tape. If you are looking for moving supplies in Ajax, shop BoxShop! You can browse all our moving boxes and moving supplies online or Contact BoxShop today to speak to our moving and packing specialists.